Claudia Horwitz is founding director of Stone Circles at the Stone House, a 70-acre retreat center outside Mebane, North Carolina, dedicated to the support of people and organizations working toward social change. Claudia’s efforts grew out of an awareness that social justice work could exact a tremendous toll on people, and her desire to make the work of building social movements more sustainable. There are words we use so often that they lose their meaning. I think peace is in danger of being one of them. I’m pretty sure peace is a process. It’s a sort of balance, and nothing is ever in balance for very long. The very essence of balance is that we’re almost always out of balance and moving back into it, whether it’s a human searching for balance or an object, I think peace is just as easily defined by the process of moving away and back as it is in its static state, because the static state is so fleeting. I feel like folks are talking about it less and less in these ways that I find really fascinating and that’s alarming to me. I wonder if we’ve given up on the possibility of peace and we’re settling for whatever else is possible—occupation, a low level of conflict, making ourselves comfortable with proportional response—whatever the thing is in terms of the global arena. Have we given in to the darker side of our nature in some unconscious way that we’re not totally aware of? Have we been complicit? Do we really want to do that? I’m not a pessimist, but I do see patterns and I’ve seen this pattern over time: We have been less willing to put the best possible scenario in the center and to aim for that. I think we’ve started to settle. Claudia talks about nature being an agent of change. How does this idea fit into your understanding of peace? Do both predictability and unpredictability fit into your understanding of peace? 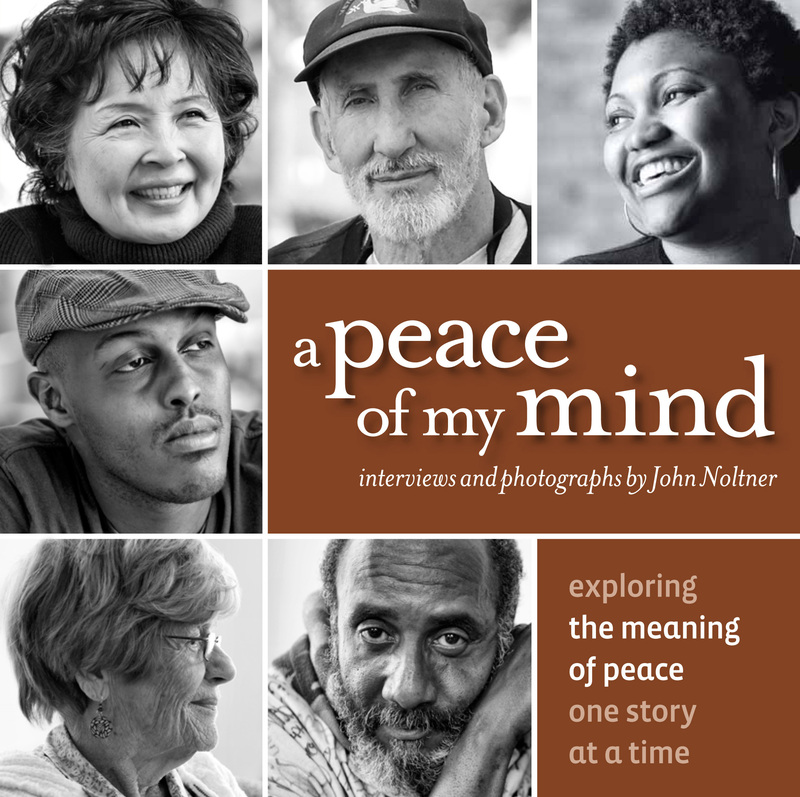 How are inner peace and global peace related? Culturally and societally speaking, has peace lost any of its meaning? If so, how can that meaning be restored? Do you understand peace as more of a process or as something that is eventually reached? Are there varying degrees of peace? How important is it to define peace in order to work towards it? What could help explain our lack of willingness as a society to focus on the best possibility? Do you ever find yourself settling for less than the best possibility? What advice would you give to someone who struggles but desires to focus on the best possibility? Are meditation and reflection synonymous? What value/role do these practices have in seeking and bringing about peace? When is a time in your life where you have experienced peace amidst mourning? Is there a difference in experiencing peace through mourning with others versus mourning alone? How is it possible for peace to be a part of the mourning process?